There’s nothing really more fundamental to backpacking than sensibly loading your backpack (such as with our lightweight Pro-Paks). That might seem overly obvious, given the name of the whole pursuit, but actually many backpackers sort of wing it when it comes to packing—not necessarily in terms of what they’re packing, but how they’re packing it. It’s all too common to simply stuff gear in willy-nilly, then tough out the awkward load during the trip. A poorly packed pack (how’s that for alliteration?) costs you in aches and pains, accumulating fatigue, maybe even a few tumbles on the trail. Here are a few tips on loading a backpack sensibly so you’re saving your body and improving your on-the-go organization and efficiency. 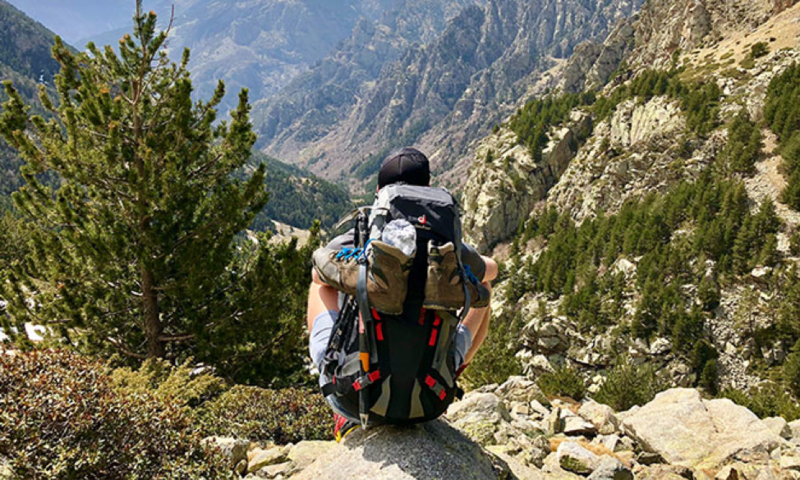 The two foremost considerations when loading a backpack are (1) distributing weight such that you’re comfortable and well balanced, and (2) keeping frequently needed items in easily accessible places. Layer heavier items—stoves, cookware, a bear canister filled with Mountain House packets (of course!) and other food, a water reservoir, etc.—in the heart of your pack. Generally speaking you want these between your shoulder blades and tucked close to your back to give you a stable, core center of gravity. In really rough or steep terrain, or when you’re mainly going cross-country rather than trail hiking, you might want to ease this heavy core down a little lower against your back to lower your center of gravity for better stability. Fill around that heavy core with whatever fits, such as your tent and clothes (or stuffsacks full of clothes). Stuff extra layers—a puffy, vest, sweater, rain poncho, winter hat, etc.—at the top of your pack so they’re ready to hand in case temperatures drop or the skies open up. You should put most items you’ll want easy access to in the top zippered compartment of your backpack: a water filter/purifier, headlamp, sunscreen, a first-aid kit (which also works at or near the top of your pack’s main compartment), trail snacks, GPS, weather radio, insect repellent, and the like. Some people like to store their map(s) in the top compartment; others prefer to slip it into an external pocket. If you’re carrying water bottles instead of or in addition to a reservoir, cinch them in the side pouches. A hip-belt pocket is an ideal place for your compass, and for more of those all-important snacks. Backpacking packs come outfitted with all sorts of loops, lashings, and straps with which to attach items to the exterior. The outside of your pack is generally a good place to secure a sleeping roll or sleeping pad, your trekking poles and/or ice axe when they’re not in use, and perhaps your tent if you’re not storing it inside. Keep in mind you don’t want horizontally lashed items extending too far to the sides, as they’ll liable to snag or bash against branches and tree trunks. And if you’re doing a lot of bushwhacking, you’ll probably want to minimize externally strapped gear for the same reason. Besides keeping heavy items in the core of your pack and against your back, another fundamental of backpack loading is making sure the right and left sides are roughly balanced: You don’t want to be leaning to one side on your whole hike, after all. Stuffsacks are your friend: not just to keep related items together and providing some semblance of waterproofing, but for easy and efficient gap-filling within the pack. Keep your liquid fuel canisters stored below your food, on the off-chance they leak. Keep your pack cover near or at the top of your backpack so you can get to it quickly if it begins raining or snowing. You’re unlikely to load your backpack perfectly the first time. 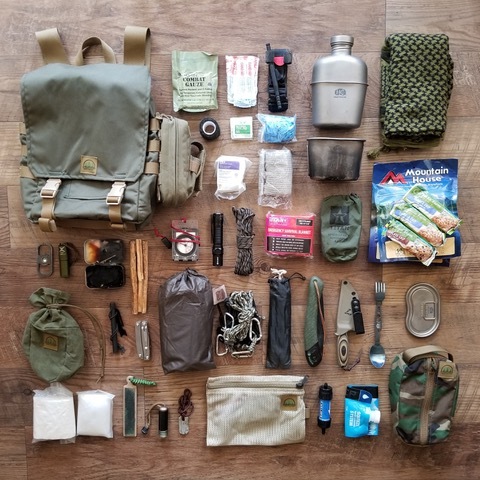 You’ll learn through experience what weight distribution works best for you, which items you find yourself needing quick and ready access to, and which of the myriad pockets and pouches of a typical backpacking pack are best suited to store which miscellaneous supplies. Pay attention to how your body’s feeling, and if something’s jamming your back, or if the pack feels ungainly, or if you find yourself becoming fatigued or sore early, stop and adjust. Once you’ve ironed down your backpack loading system, stick to it: Consistency will help smooth out your operations, and allow you to keep better track of your supplies. This entry was posted in Hiking and tagged backpacking by Kelli Martinelli. Bookmark the permalink.